Seattle has over 90 unique neighborhoods. 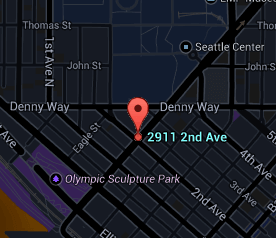 The location of Gallery is in the area known as Belltown. Every building has its own personality and attributes. The community is an important aspect of city living and can have an impact on how integrated it is with the residences. The Gallery building features can be explored here. A full list of amenities within the complex is displayed to help understand the offerings of the project. Developed by Schnitzer West, The Gallery is a 13-story condominium community built by PCL Construction. Designed by architects Mithun Architects + Designers + Planners, this concrete and steel building is not your typical contemporary high-rise in Belltown. The project is a creative integration of traditional brick and modern steel-and-glass material. Located in a quiet section of Belltown on 2nd Avenue and Broad Street, the Gallery consists of a variety of floor plans, including two-story homes. They include studios, one bedroom plus den, 18-foot ceiling sky lofts, internalized bedroom open-plan homes, traditional one and two bedroom homes with or without a den, townhomes and penthouses. Homes also offer personalized designs by MNID Inc., which cater to individual personalities such as the Expressionist, Minimalist, Modernist and Individualist. All homes at the Gallery include hardwood floors, premium stainless steel appliances, slab granite or glass countertops with under-mount sink, custom cabinetry, and private terrace. Unbeatable amenities include exclusive Supper Club/Lounge with gourmet kitchen for private dinners and entertainment, complete fitness center with yoga room, fully equipped business center, beautiful sky lounge with terrace, large garden rooftop deck overlooking the Puget Sound, private dog park/dog wash area, 2 guest suites, gallery-inspired 2-story lobby showcasing contemporary art, and 24/7 concierge service. All active, contingent, pending, and sold listings for the Gallery building. The Stroupe Group specializes in downtown Seattle condominiums. All the articles that have been published by the Stroupe Group concerning Gallery and Belltown can be found here.